This post is about another dinner failure. But it has a happy ending, so don’t despair. 1. Preheat oven broiler and set oven rack at about 6 inches from heat source. 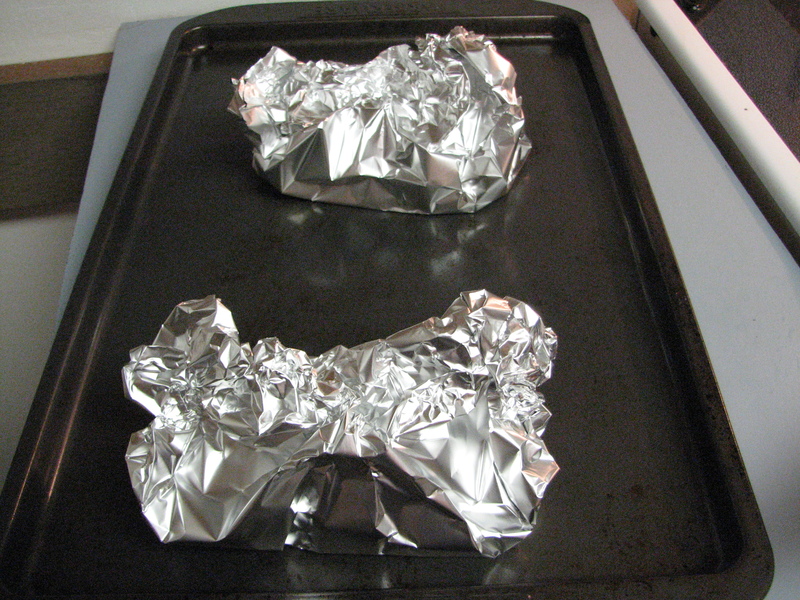 Prepare the rack of a broiler pain with cooking spray. 2. Season salmon with salt and pepper and arrange on pan. 3. 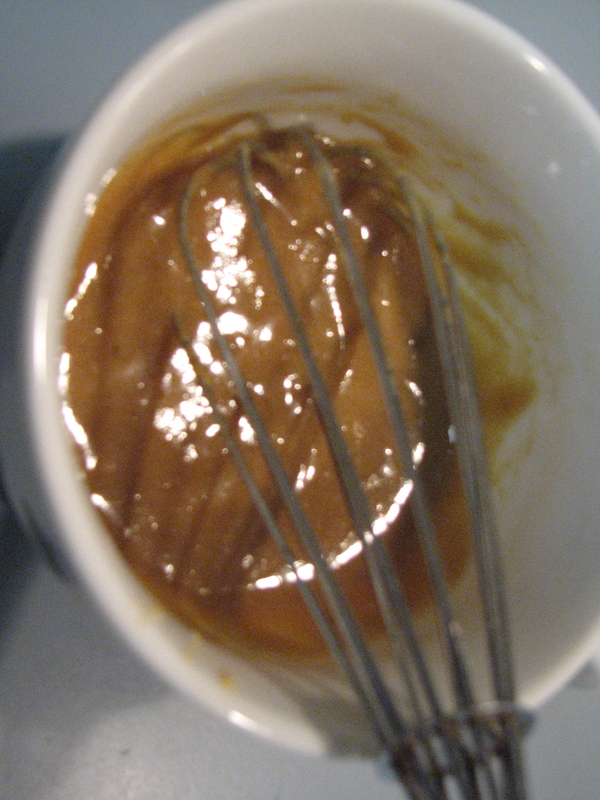 Whisk together brown sugar and Dijon mustard in a small bowl. 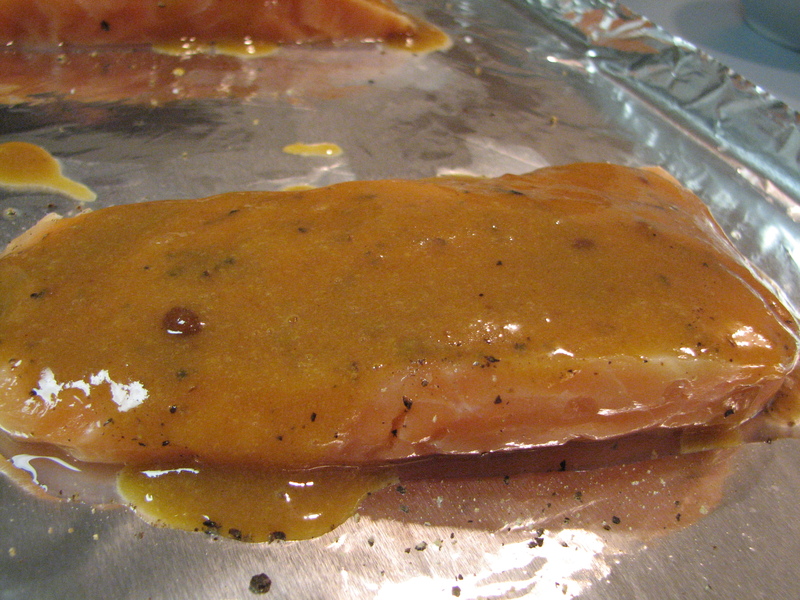 Spoon mixture evenly onto top of salmon fillets. 4. Cook under preheated broiler until fish flakes easily with fork (10-15 minutes). I decided to make brown rice as a side dish. 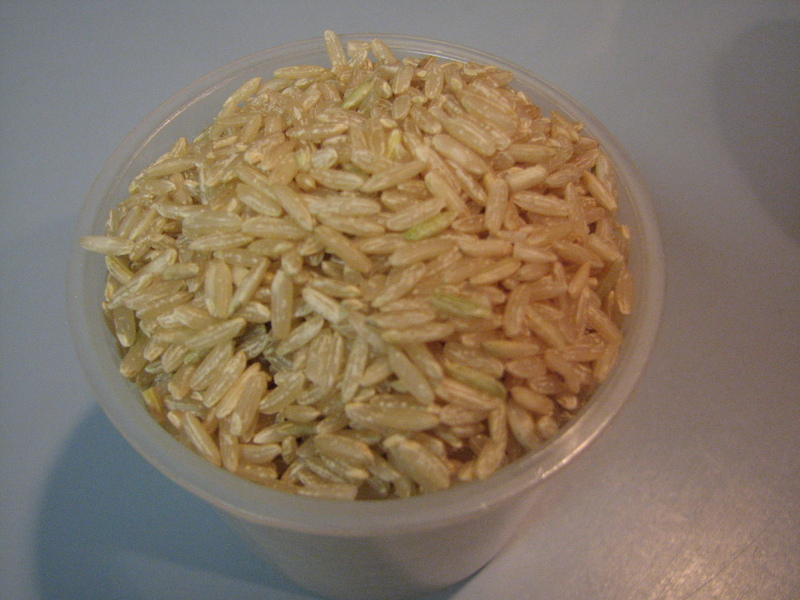 For some reason, I can never prepare brown rice properly. The package says one thing–but it never turns out when I follow the instructions! It’s so frustrating. 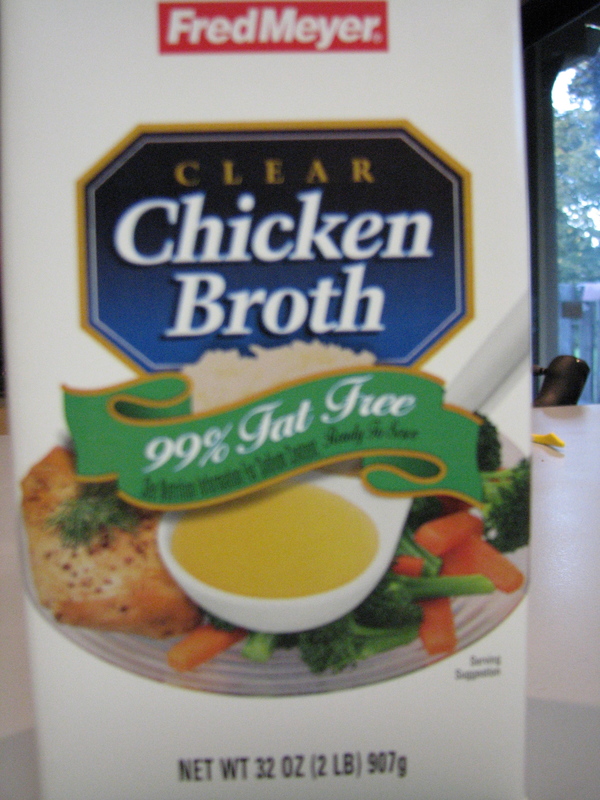 I substituted chicken broth instead of water for the brown rice. I ended up cooking the brown rice for about an hour. Even though the package said to cook it for 30-40 minutes. 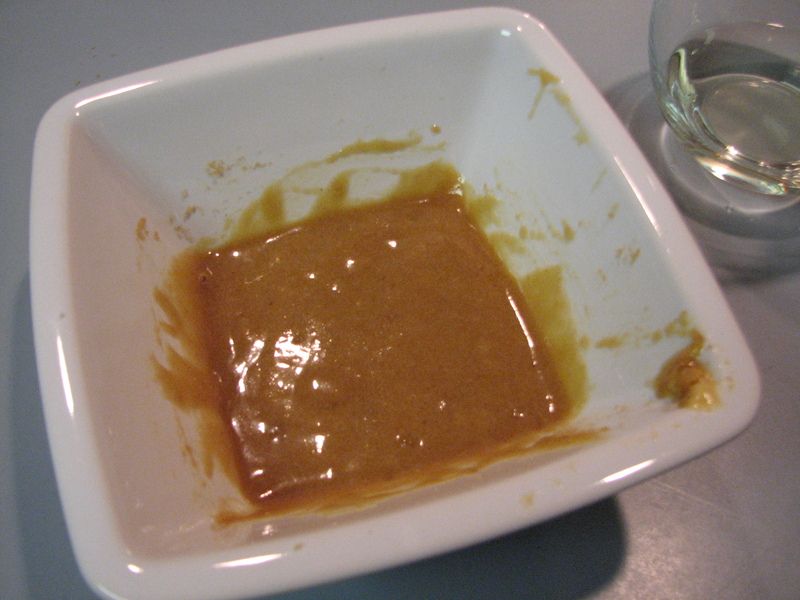 While the rice was cooking, I mixed together the glaze. 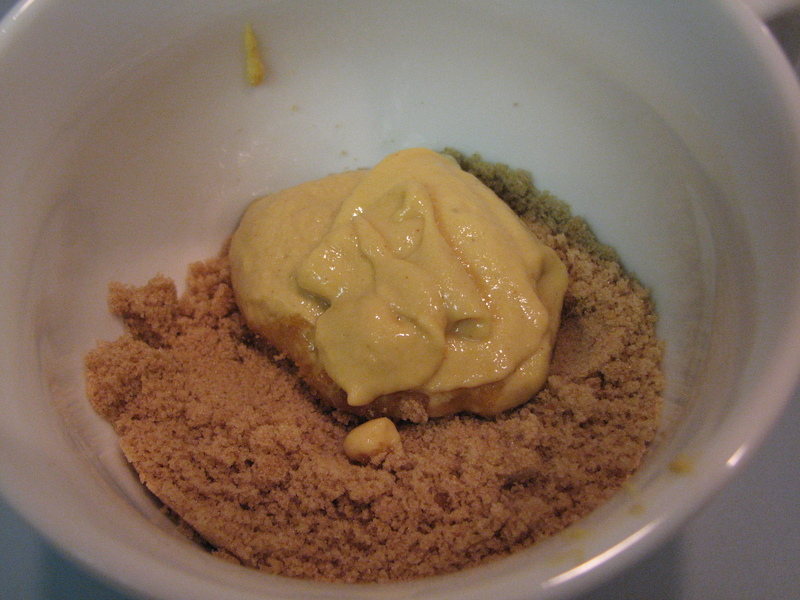 Grey Poupon mustard and brown sugar create a honey mustard! I was skeptical at first but after mixing it I tasted it and it was really good. Michael said we should stop buying honey mustard and just make our own. I agree. 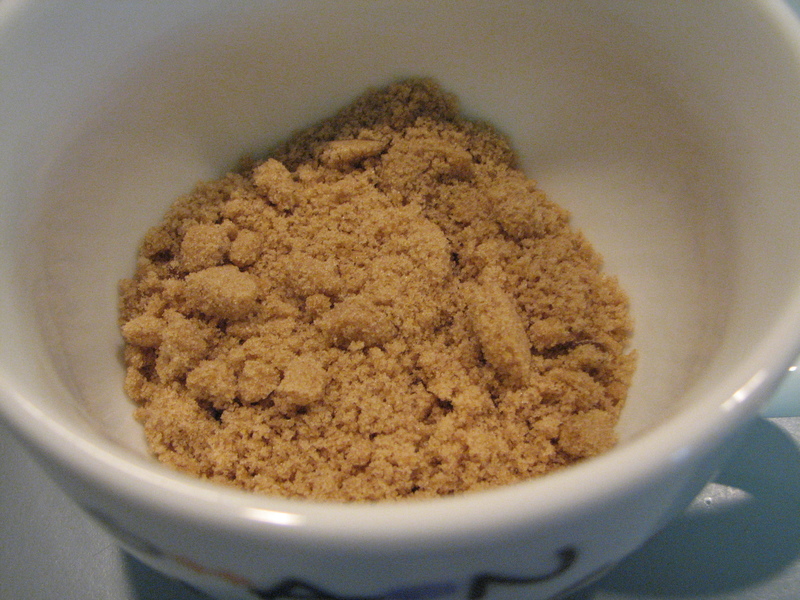 It tastes so much better and it has less additives if we make it ourselves! Whisk it together until the lumps are gone. Michael was unsure of the recipe instructions. They called for broiling the fish. I can honestly say I’ve never broiled anything. But I am a Recipe Follower and I trusted the instructions. 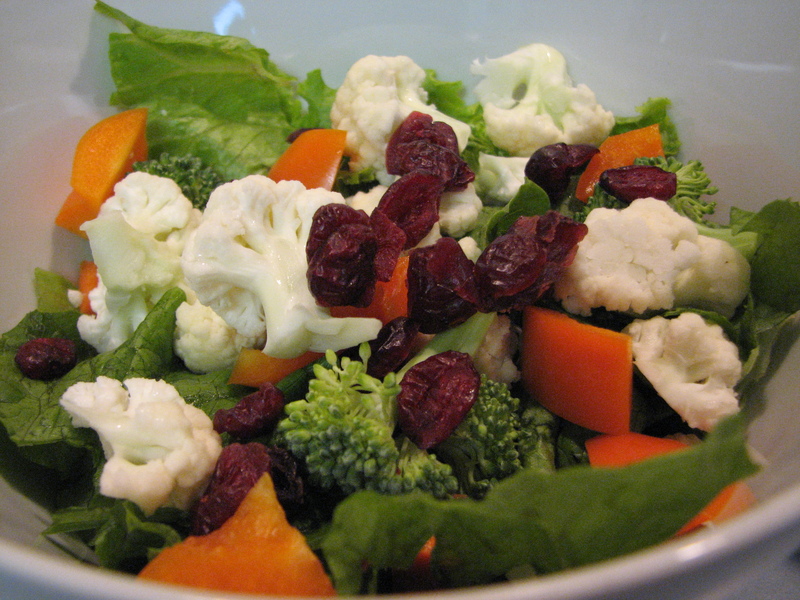 While the salmon was broiling, I made us salads. Good thing too because we didn’t end up eating for another hour. But I’ll explain that soon. 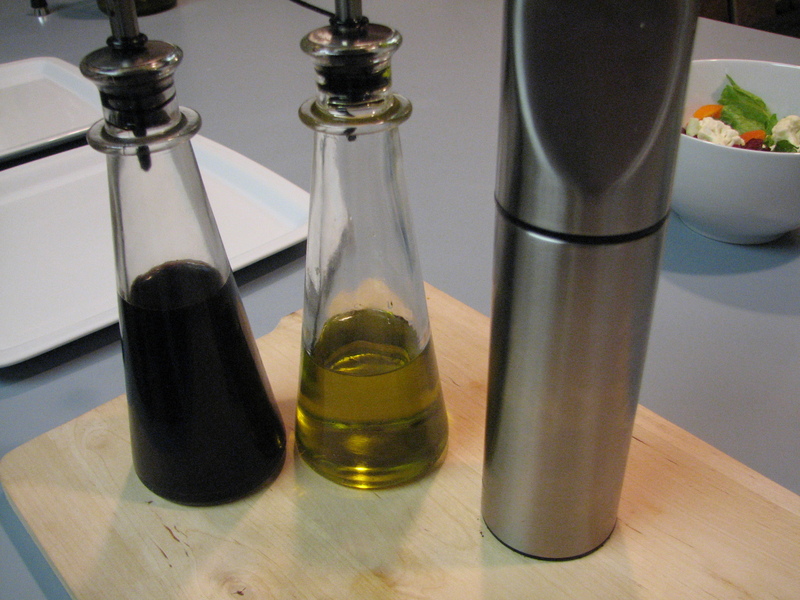 I made a simple salad dressing: extra virgin olive oil, balsamic vinegar, pepper. So here’s the Dinner Failure. 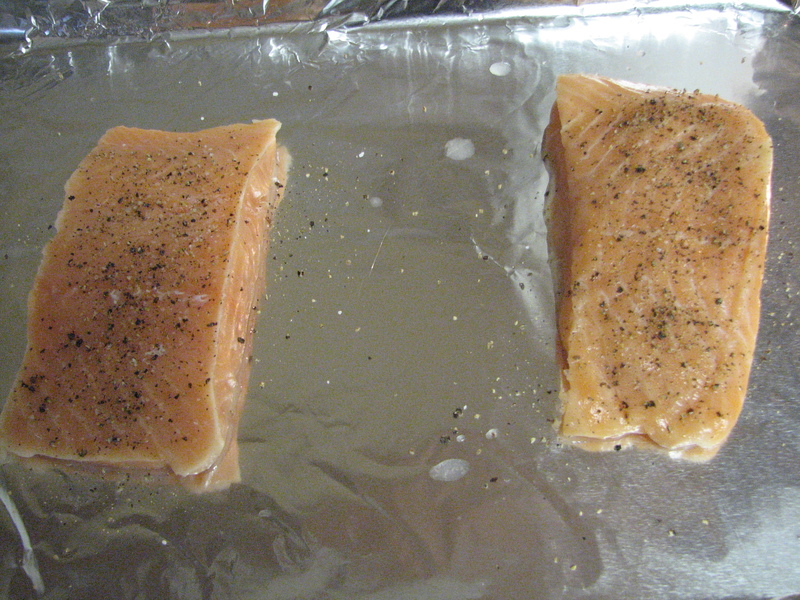 I followed the broiling instructions and when I took the fish out–the top was completely black. And NOT in a good way. It was ruined. Michael wouldn’t let me take a photo of the ruined fish so no photos. Trust me when I say it was all black and ruined. I started to tear up. Yes, I know it’s ridiculous. Don’t Cry Over Spilled Milk and all that jazz. But oh my god! WHY can’t I cook?? I was so frustrated. Like how will I ever be a good partner/wife/mother if I can’t cook something as simple as salmon? My future kids will eat only Mac n’ Cheese and stuff I can cook in the microwave!!! Michael was awesome and gave me a big hug and said it was okay. He said he loved that I TRY to cook for him and he said he loves cooking with me and I don’t have be able to cook. Aw!! So sweet. He said he’d save the night and defrosted two more salmon fillets. He heated up the skillet to blacken the salmon (the usual way we make it). I stood there feeling frustrated and embarrassed at my failure. Then I wiped the tears away and said we weren’t going to have salmon the usual way. We’re trying it again! Two more salmons. I followed the recipe instructions again. This time, I was going to do it a different way. I made another glaze. 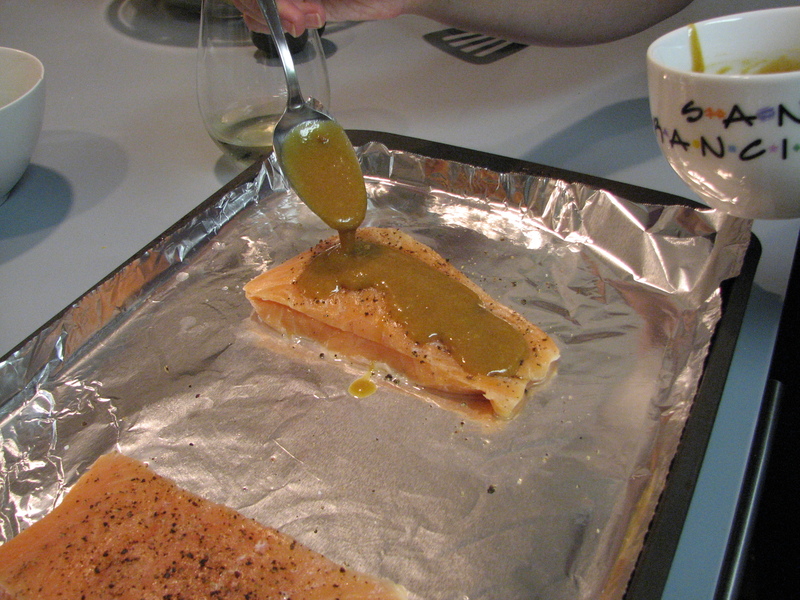 Drizzled it on the salmon and then loosely covered the salmon fillets with foil. This time? Baking it at 350 degrees for 20 minutes or so. I KNEW that would work. The dinner was SAVED. It was fantastic! Baking salmon is so much better (and it’s something I can do). The brown rice was wonderful. Using the chicken stock adds so much delicious flavor. 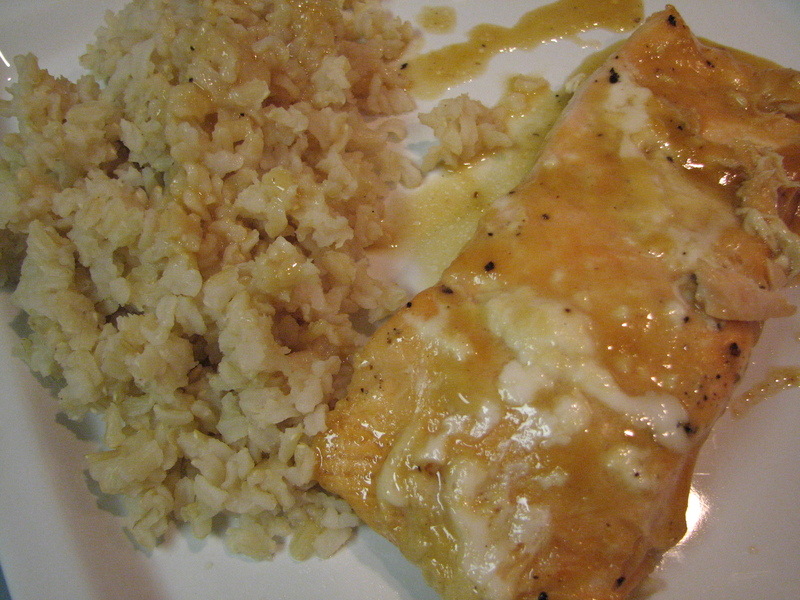 Moist, flavorful rice with perfectly baked salmon. 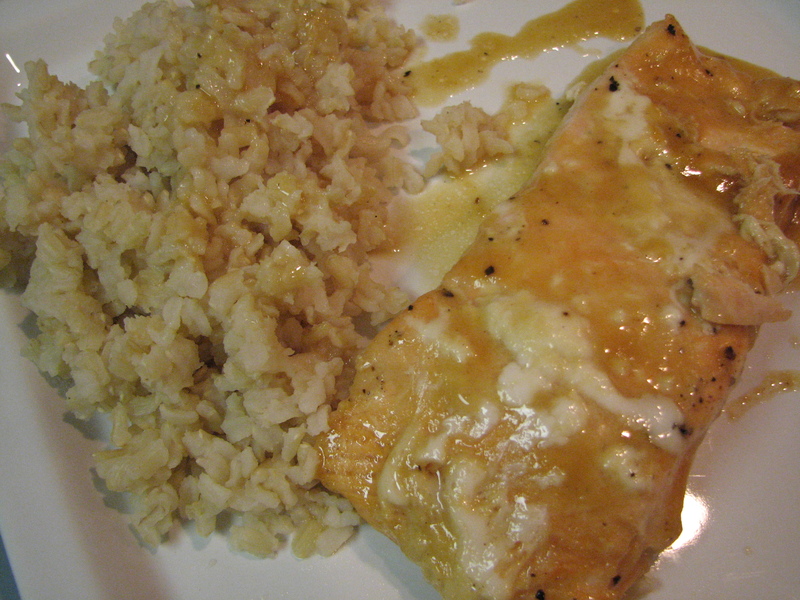 The mustard glaze also turned into a bit of a sauce that I poured onto the rice. 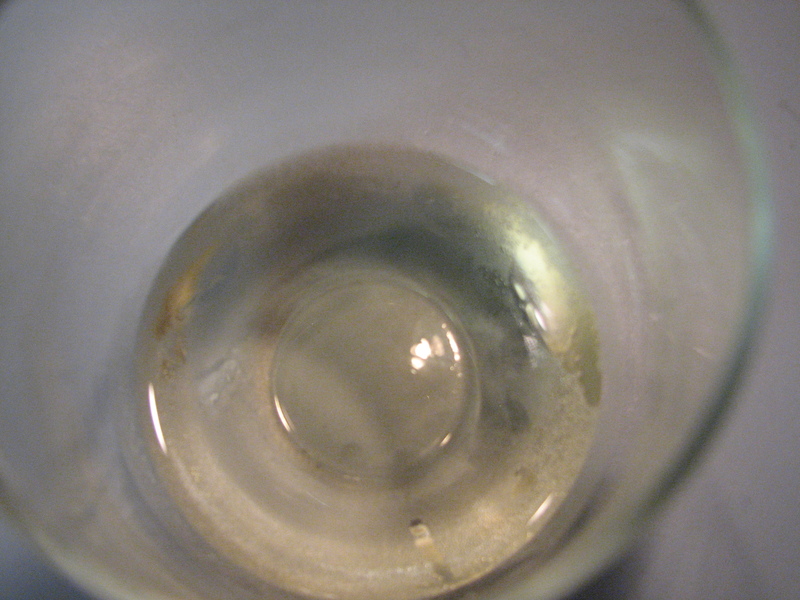 A glass of wine and dinner was served. So good. Definitely going to make this again. I’m glad I didn’t totally give up and let Michael make dinner. I’m glad I was able to save it! QUESTION: Are you a good cook? Or do you have more disasters than delicious dishes? I have had plenty of disasters. The secret is to keep trying, never give up, but you already know that! And I have bad news for you: regardless of how awesome your dishes are, your future kids will still probably request mac ‘n’ cheese. Dinner was awesome last night and you hulked up like a champ! my sauce was more of a liquidy thing rather than a paste. either way, today made for a good lunch. keep up the efforts in teh kitchen! My DH and I have become pretty good cooks. We certainly do have our share of disasters still, so don’t think that will ever go away LOL! Way to stick with it! and so glad dinner turned out well. I’m afraid a lesser person (like me) would have called Domino’s at that point. P.S. My kid hates to eat. (How she could be mine, I’ll never know) I made a list of things she eats–22 items total, and none of them regularly. She won’t even eat mac n cheese. I’m hopeful that by exposing her to the foods I eat, she will eventually try them and eat them too. That is too funny. How old is your daughter? Is she just going through a picky phase? No, not a picky phase. This has been the case since she was weaned off the breast. After watching a show called Freaky Eaters on TLC I believe she is a “taster” whereas most of us are “non-tasters”. It was an interesting show! Oh my gosh – you poor thing. Sounds like you had the rack too close to the broiler (and you left the door slightly open, right?). I actually prefer salmon baked with a pan of water on the rack below the salmon. Keeps it super moist. It’s all about practice. 🙂 It’s not magic. Don’t feel bad, I can’t cook either. Though your 2nd attempt looks great! Way to go!